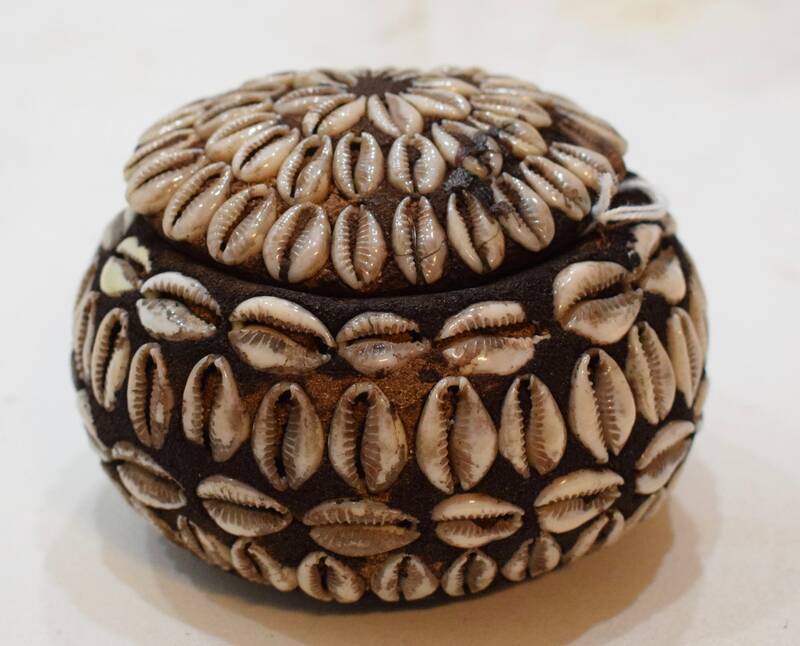 African Cowrie Shell Gourd Box Ritual Kenya 3.5"
This is a Vintage African Ritual Cowrie Shell Round Gourd Ritual Box from Kenya. 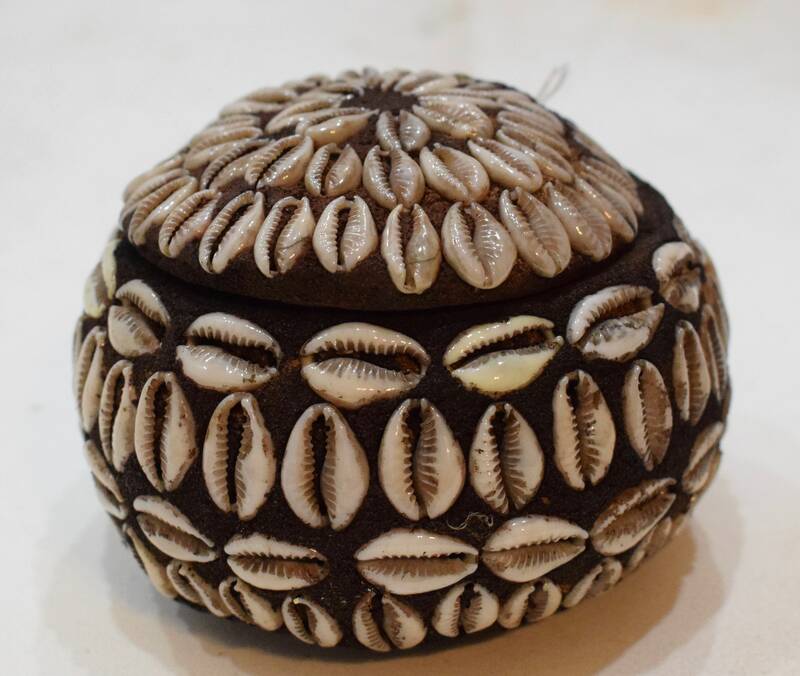 This gourd is grown, cut and decorated with the cowrie shells that are secured on the gourd by using mud. The cowrie shell has many uses and meanings. It has shown up in the form of money, jewelry, and religious accessories in almost every part of the world. 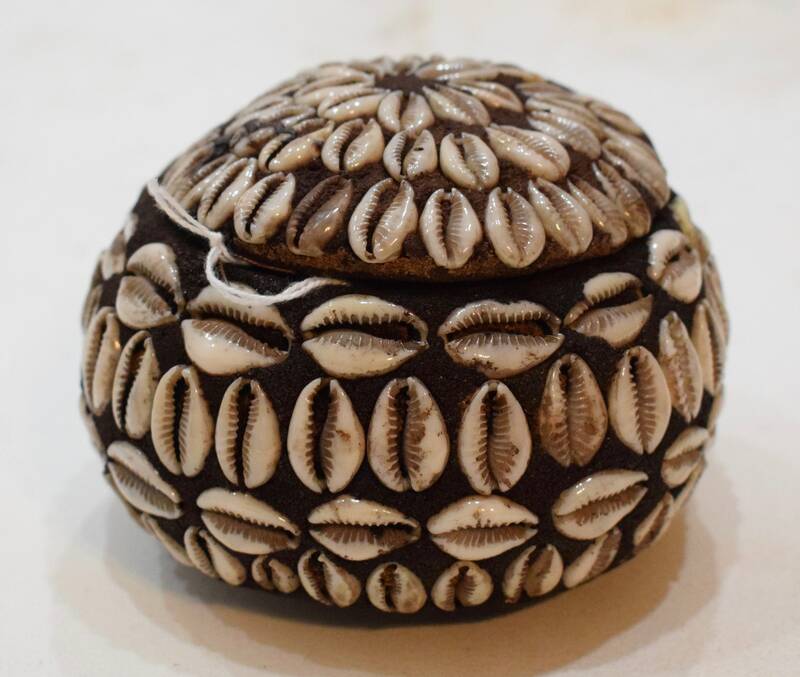 This is a wonderful and unique cowrie shell gourd box that would be wonderful in your home or to add to your collection. Shows some age, discoloration, but overall in good condition.